If you are a programmer, or a company distributing software products, it is essential that you design a comprehensive End User License Agreement (EULA) in order to protect your intellectual property. With the WhiteSmoke online writing tool, you can make sure that your EULA is free of errors, and written in a language that is both legally enforceable and easy to understand. 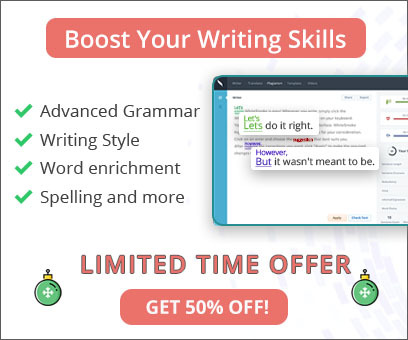 By running a quick grammar check and spell check on your EULA, you can make sure that your legal protection is not compromised by bad English grammar that leaves your EULA open to interpretation. An End User License Agreement is, as its name suggests, a contract between a software developer and a software user. By means of this contract it is established that the developer of the software is its de facto owner, and the user buys a license, not ownership, when s/he purchases from a vendor (or downloads from the Internet). A EULA seeks to ensure that no intellectual rights on the software are transferred to the user. Being such an important document, it is important that you take the time to proofread for errors. Design the software installation in such a way that the user must agree to the EULA before the software is installed on his/her system. Check for grammar and spelling errors! Check for punctuation! There is no substitute for correct English grammar and spelling, and mistakes could cause confusion or even nullify your EULA. With these points, you will write a much better EULA. Using WhiteSmoke online proofreading will not only make your EULA read better - correct English writing will make your EULA stand up to scrutiny in a court of law. And the benefits of WhiteSmoke do not end with your EULA agreements. If you need to protect your software, you probably have other texts to write, from legal agreements to general business communication. WhiteSmoke not only corrects texts, it also enhances them with its unique text enrichment feature. 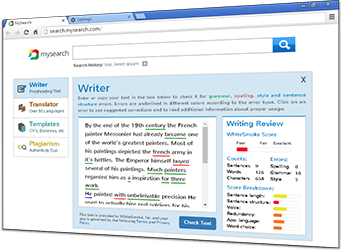 Based on complex algorithms and artificial intelligence technology, WhiteSmoke suggests synonyms, adverbs and adjectives to make your legal and business documents more effective. A proprietary dictionary-thesaurus also means you will never be short on words!